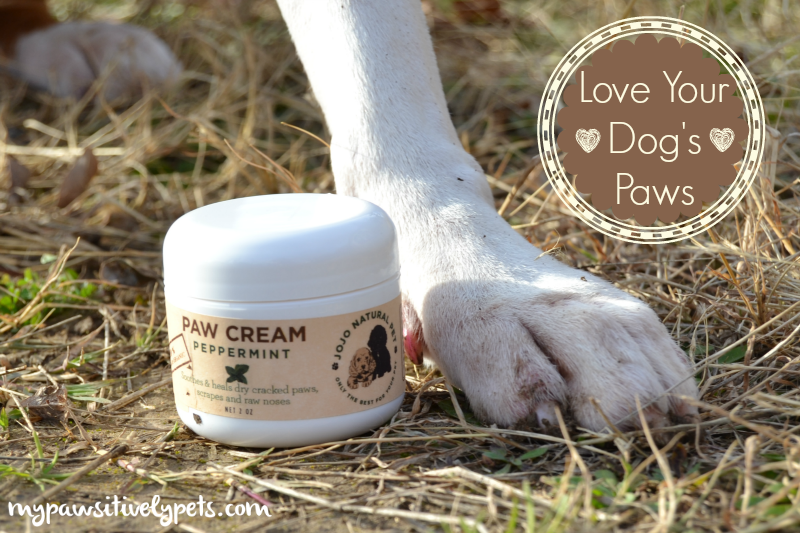 A few week's ago, JoJo Couture sent us some of their JoJo Natural Pet Peppermint Paw Cream to review. 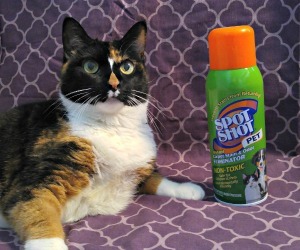 I have been using it on my dog, Shiner, on a regular basis. But, I do have a confession. I've also been using this stuff on myself. After opening the jar and massaging some of the minty smelling cream on Shiner's paws, I couldn't resist putting some over my cuticles and knuckles. And then, I was in love. Sounds pretty nice, huh? And it's made in the USA. OK, truthfully I wouldn't classify this cream as a beauty product. It's winter time and our dog's paws need extra care right now. Some dogs may need extra attention to their paws year round, actually. Shiner has some pretty rough feet, because she does lick them here and there. I was worried that putting JoJo Natural Pet Paw Cream was going to make her want to lick them even more. She didn't though. Anytime I put something on Shiner, she has to make a fuss and rub herself all over the place, but it didn't cause any further licking. Plus, this stuff is non-toxic so I don't have to worry if she did lick it off. You can also use the cream for dry and cracked noses. My dog doesn't have this problem, but I know there are other dogs out there who do. The only concern I have with using it on a dog's nose is the odor. Dogs can smell pretty darn good, so I'm not sure what they would think of having peppermint cream applied right on their nose. I also applied some of the paw cream on her elbows because she has some calluses on them. When I was working as a veterinary technician, people always asked how they could help elbow calluses on their dogs. I wish I would have known about this product back then to recommend. JoJo Natural Pet Paw Cream is produced by JoJo Modern Pets which is a company that is dedicated to improving the lifestyle of pet parents and their furry companions by providing them with products that are innovative, high quality, and uniquely designed. 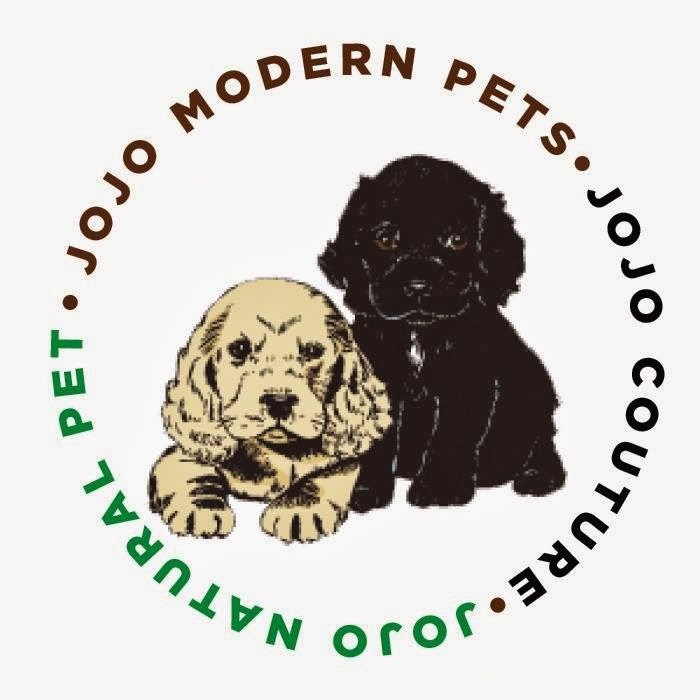 JoJo Natural Pets is their all organic line of pet grooming and wellness products. So on top of these great grooming and wellness products, they also carry some super stylish pet decor and bedding. 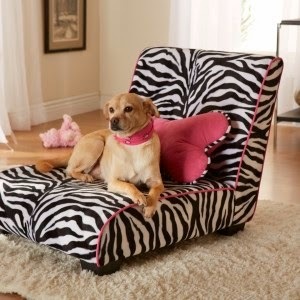 I am really digging this Zebra Print Elliot Chaise! Wouldn't Shiner just look fab sleeping on this? If she ever got this bed, I might also have to borrow it! 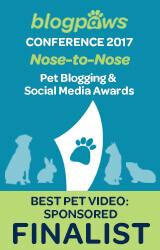 We give our JoJo Natural Pet Paw Cream 4 very soft paws up! I have an extra jar of this paw cream, so if you'd like to win some for your pooch (or for yourself) fill out the Rafflecopter form below. US Residents only please and 18+. This giveaway ends February 15th at midnight CST. Good luck! 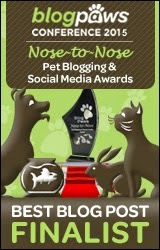 *We received JoJo Natural Pet Paw Cream in exchange for a fair and honest review. All opinions expressed here are our own and truthful! I think I remember you mentioning that before. Shiner used to get hers all scraped up when we went to the lake all of the time. I love the Pet Storage Beds. Very cool. That does sound like a great product but our Dog has long hair so it might be kind of messy to use. But it does look good. Have a wonderful day. To share even the paw cream must be really true love :o) Thanks for a great review and if it helps to avoid calluses, then I will give it an extra paw. It sounds good. I like that you gave it a soft paws up! I love the ultraplush pet sofa! So cute and both my babies would love this. I have a cat and a dog. The heck with the dog, I would use it on my feet. Lol. OK I would share. BOL! Well, actually I might try that now that you mention it haha! It's hard to choose one product, but my favorite probably is the pet storage bed. That is darn cool when things actually work well! LOVE the Ultraplush pet sofa bed! That would look awesome in our basement! It's funny being a Canadian and I am also starting a giveaway and it's for US residents only haha! Too funny you using it yourself! I would probably do the same thing! Great review on the product as well! Oh Miss Ann, maybe you should've saved that extra container of cream for yourself since you love the product. BOL! I bet the Peppermint is nice and refreshing. Sounds lovely. No wonder Shiner is such a beauty. Hey thanks for stopping by! I did actually decide to try and start a tumblr blog for any non-pet related things I felt like blogging about, including my cooking. Nothing big, just something to quiet that inside of me that's itching to blog about other stuff. This looks great and Cocco may not be a dog but it looks pig-friendly too! I am sure that it is pig friendly :) The cream isn't specifically for dogs, and I think that cats could even use it too. AHHH! The ultra plush sofa bed!! And it comes in pink!!! There are storage beds! That come in leopard and zebra! Mom collects cowprint stuff and I have a bit of a leopard fixation! would luv to try some paw cream for my labs. I love the JoJo Natural Pet Paw Cream, the JoJo Natural Pet Body Wash & Shampoo (Peppermint), and the Ultraplush Pet Sofa bed! thank you! Thanks for your visit!!! I am glad you have dicided to do another blog!!! I love food and love to cook. I make a big pot of soup every week!!! My Hubby Tom and I are on a health kick now for about 8 years and there is a world of difference in us in this last 8 years!!!! I watch cooking videos all the time!!! I have a few cooking things there, but not many so far as this one keeps me pretty busy :) I also like soup a lot and make it at least once a week. My family is pretty picky, but I have really been trying a lot of new things lately and I love cooking! That sounds nice. When I frist started reading, I wondered if dogs would mind the mint smell, but I guess not :) Glad it's helping Shiner - and you! I think it is only a little greasy at first, but soaks in very well. Otherwise, I wouldn't want to use it on myself because I don't want to be walking around with greasy fingers! We love the storage beds! I like the Zebra Print Elliot Chaise lounge. All their grooming products look great! I'd love to try the paw cream on Kobi's dry nose and paws. I like the Zebra Print Elliot Chaise. I think I would like the Ultraplush pet sofa bed.